Futsal is undoubtedly a sporting phenomenon which has captured the imagination of sports enthusiasts both young and old. 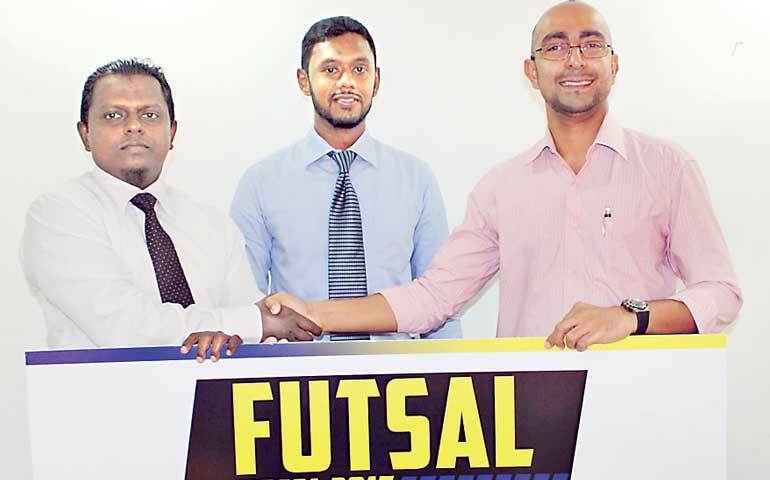 Catering to this growing market segment, the inaugural Futsal Fiesta, a five-a-side indoor football tournament organised by UEC International Ltd. will be held on 18 February. The event will take place at the CR & FC Futsal Court and is expected to feature over 20 teams drawn from the mercantile, banking and finance sectors. “In Sri Lanka, leading sports such as football, rugby and cricket have evolved with time. However futsal’s evolution has been much more rapid. It is fast-paced, competitive in nature and more importantly, a fun sport open to all ages. We are pleased to promote this sport in Sri Lanka with the objective of promoting camaraderie among the teams, which we believe is the underlying principle of any sport,” said Project Chairman Mafaz Anver. The main tournament will operate on a league basis, followed by a knock-out format. A separate tournament will feature players who are over 35 years of age. The winners of the tournament will receive an attractive cash price and will play for the UEC Challenge Trophy. 100PLUS, Malaysia’s top isotonic beverage, which is distributed by Zahra International in Sri Lanka, will serve as the official hydrating partner of the event.